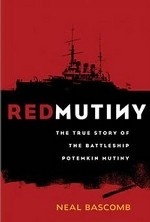 Аннотация к книге "Red Mutiny: The True Story of the Battleship Potemkin Mutiny"
Red Mutiny tells how the sailors of Imperial Russia`s newest and most powerful battleship, Potemkin, seized control and flew the red flag of revolution in June 1905. It is a tale of dramatic adventure, naval battles, heroic sacrifices, treachery and intrigue at the court of the last Tsar. A dedicated band of revolutionaries inspire and lead the sailors to overthrow their tyrannical officers, but the Potemkin finds itself steaming around the Black Sea with the rest of the fleet in pursuit. Hunted from port to port, the mutineers enter Odessa, sparking a bloody insurrection (made famous by Eisenstein`s film) and bringing Imperial Russia to its knees. As Lenin and many others recognized at the time, this was the key event that would make the Russian revolution possible. The political consequences of this mutiny were profound, but the author concentrates on the individuals involved in these dramatic events: it is a brilliantly realized, cinematic treatment that really brings the story to life.